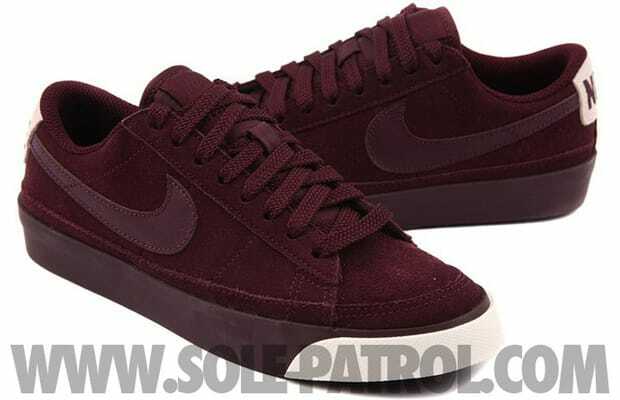 Fresh for fall Nike hits us off with a simple all-burgundy colorway of the ever popular Blazer Low. The Low is draped in burgundy suede with tonal laces offset only by a little white on the lip of the midsole and on the heel tab. These should be popping up on shelves now.